Scented with Sandalwood or unscented. 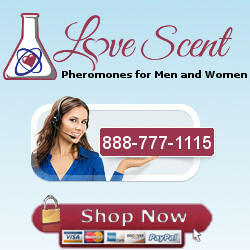 Mix with a few drops of Pheros (the product) in your hand and spread around your chest. A gel version of TE. Be carefully not to apply too much, 1/4 of a pack is plenty for most occasions. Unlike the bottled version, the TE gel sandalwood cover scent is strong enough to cover the pheromone smell, but you might still have to be carefully, especially if you can’t smell -none.